Margaret Champ married Samuel Forbes in Garrard County, Kentucky on June 12, 1798. Theirs was one of the earliest marriages in Garrard County. Margaret sometimes used the common nickname of that day, "Peggy". According to David Forbes, right after their marriage Samuel and Margaret moved to Wayne County, Kentucky. It was there that their children were born. In about 1819, the Forbes family moved to Cooper County, Missouri near the "village" of Pleasant Green. Samuel and Margaret Forbes were among the charter members of the Pleasant Green Methodist Church in 1925. The Forbes family remained in Cooper County. 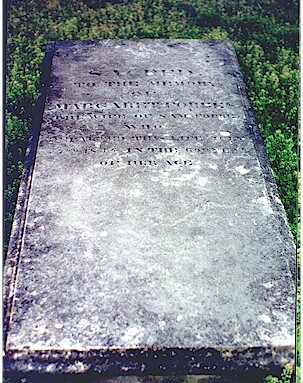 Margaret died July 27, 1845 at the age of 69. Samuel died in 1850. 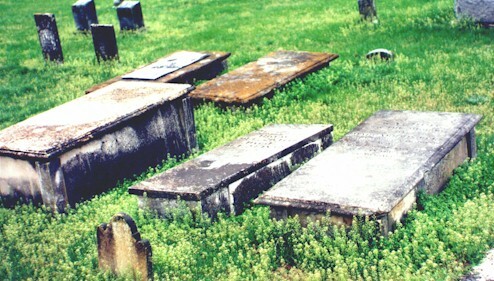 Their graves are among the oldest in Pleasant Green Cemetery which is located at the Pleasant Green Methodist church. 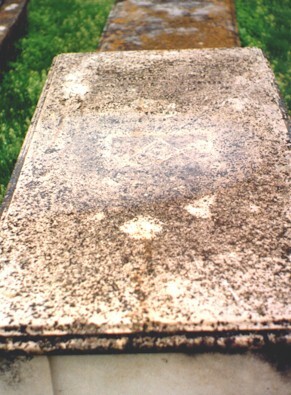 The Forbes graves are marked by flat vaults. Judging from the small size of the vaults, Mr. and Mrs. Forbes must not have been very large. One son, Samuel Thompson Forbes is buried at Pleasant Green. He died at the age of 30, while delivering mules to New Orleans. It appears that he died in January 1847. His birth date may be January 5, 1817. Emily Forbes Seagraves is also buried at Pleasant Green. 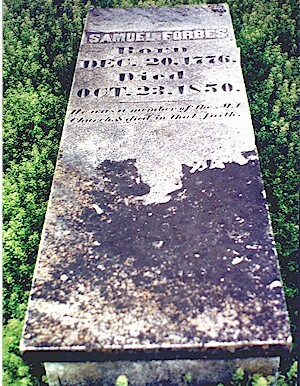 Her marker tells that she was born May 20, 1820 and died April 15, 1847. 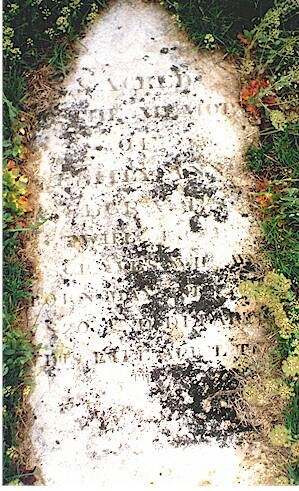 Her marker is simply a flat stone that has fallen over. Here are scans from Pleasant Green. Some were taken in 1992 and some in 2004. Above is a general scene. These are not the Forbes graves. Above, Vaults of Samuel T., Samuel and Margaret Forbes. 1992. Above, Vaults of Samuel T., Samuel and Margaret Forbes. 2004. Go back to Lyndon's Genealogy page.